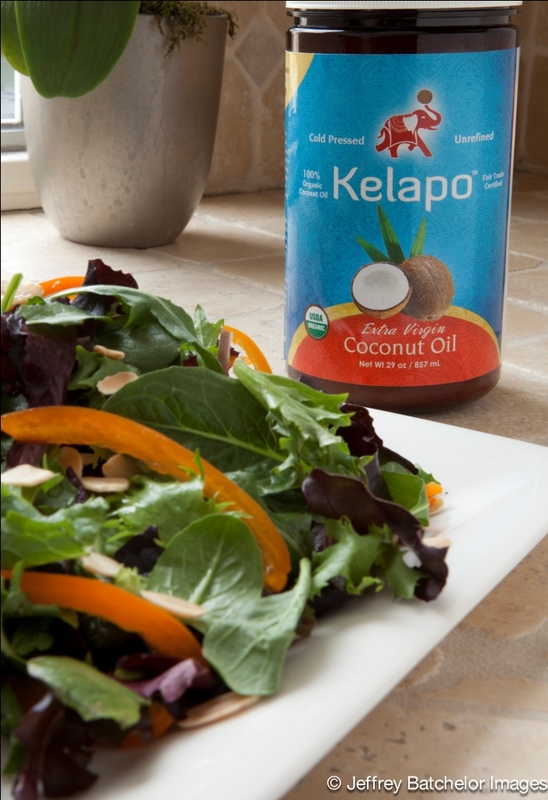 Balsamic Coconut Dressing is perfect on all salads! It’s time to break away from the usual oil and vinegar dressing. Since coconut oil contains nutritional properties that assist in increasing the immune system, it can boost both health and satiety. Spring is in the air, which means we’re all thinking about summer attire and lighter foods and salads. What better way to kick off spring break than to create a zesty salad dressing that is not only delicious, but also easy to make at a moment’s notice. Why use bottled dressing when you can make a healthier, tastier version in less than a minute? 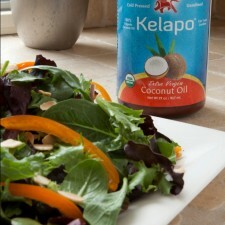 Most high quality balsamic dressings use olive oil so coconut oil gives new flair to an old stand by. This salad dressing can be made in the actual coconut oil jar or any glass container. Microwave the coconut oil and add the rest of the ingredients and shake. You can easily alter the vinegars up or down to fit your taste buds. Using the remnants of your oil in the glass jar can make clean up easier. In a small glass jar or container microwave coconut oil till melted (about 15-20 seconds). Add rest of ingredients and shake. Use immediately on salad. Can be stored in refrigerator for up to a week. Microwave for 15 seconds to regain liquid consistency. – Susan Dopart, M.S., R.D., C.D.E.